Join us this coming weekend, December 14th and 15th Bonaire Estates is bringing this wonderful Christmas Parade of Homes to the grid! Please join us on this wonderful, self-guided journey. Some of the residents at Bonaire Estates have graciously opened their homes to the SL community at large. They have spent many hours putting together beautiful displays of Christmas holiday decor and fun for you to enjoy. First you will land at the starting point, a beautiful skating pond in the common area at Bonaire Estates Country Club. There you are invited to sip some mulled wine and nosh on some goodies. You can even ice skate if you'd like! Then, when you're ready to begin the tour, simply click the board and get the notecard with the landmarks enclosed, and you are on your way! You can visit the homes in any order. Some homes offer decor on the outside and inside, some on the outside only. Some homes have fun events, like a two hour live music presentation from 3-5pm SLT on Saturday afternoon featuring Wolfie Moonshadow and Wayne Davis. Some have ice skating rinks for you to try. Please feel free to wander around and look at all the beautiful decor outside and inside these beautiful homes and business. Some residents have set out refreshments; feel free to linger and eat. In addition, you are invited to attend the Bonaire Estates Christmas Party on Saturday, December 14th from 6 to 8pm SLT. Dress is formal. We are pleased to have three amazing live singers performing at this event. From 6 to 7 pm we will have live entertainment. Come see the amazing Caribbean Harbor Club at Bonaire Estates, which has been transformed into a Christmas wonderland. 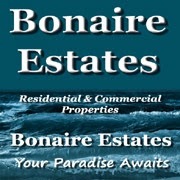 We look forward to seeing you around at Bonaire Estates this weekend! Here is where it all begins. Yay! Thanks, Lanai :) Looking forward to seeing everyone this weekend!